SLADE failed to "slay 'em alive" at the showgrounds yesterday. Thousands braved three hours of rain and good and indifferent support music before Slade finally erupted on to the stage. The fans surged to their feet and prepared to "get down and get with it." 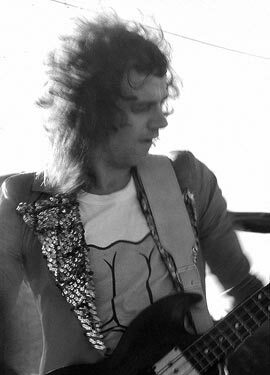 Although exciting and high powered, Slade's numbers were predictable -- the rasping Noddy even ad- libbed in the same places as he does in the three Slade albums. It was disappointing, there was no new material. "Keep on Rocking." "Take Me Back Home." "Gudbuy T'Jane" and, of course, "Get Down and Get With It" were met with raucous rocking, stomping and clapping from the crowd. Some fans just sat on the ground or in the stands and soaked up the ear shattering vibes. Dave Hill, in shiny suit and glitter, was entertaining as he cavorted around the stage. Good electric violin work came from Jimmy Lea in "Darling Be Home Soon." But there was none of the near hysteria or magical control we had expected. English folk - rock group, Lindisfarne, nearly stole the show with their jigging, rocky music, humour and versatility. Country Radio were popular, but the acclaimed Caravan and Status Quo didn't measure up.